An Olympic gold medal is the ultimate dream of every athlete - besides perhaps in football and cricket, where they covet the World Cups. Qualifying for an Olympic, being pitted against professional athletes from around the world all gathered in the same city for one express purpose, to prevent you from winning ... yes, the adrenaline rush is only to be expected. From Romania's first appearance in 1900, where the country sent only one participant, this Balkan country nestled at the edge of the Black Sea is now an acknowledged factor of the games. The 1984 Summer Olympics, in which Romania was the only Eastern Bloc nation to participate - fourteen European countries boycotted this affair in Los Angeles in response to the US-led boycott of the 1980 Moscow Olympics - was their most successful run, where they won 53 medals in total, 20 of them gold. Romania has taken part in 21 of the 28 Summer Games ever held. In these, it has won 307 medals in total, 89 of which are gold, securing it the 15th position overall. 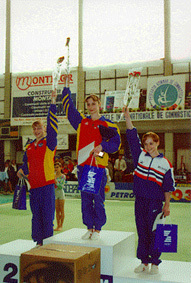 Gymnastics is Romania's major medal-producing sport, having brought a total of 72 medals home till date, 25 of them gold, 21 silver, and 26 bronze. This is almost a quarter of all the medals the country has won yet. Amongst countries who have never hosted the event themselves, they are second (after Hungary), in the total number of medals earned. Gymnastics is the one sports Romania shows the most aptitude and the highest chances of a medal in. From 1972 Summer Games in Munich to the 2012 Summer Games in London, Romania has had a female national gymnastics team qualified for the event throughout. After one dry year, the first time the Romanian flag was raised on the gymnastics winners' stand was in 1976 at the Montreal Forum in Canada. Since then, for 40 years running, the flag has never been brought down, not until the fateful 2016 Summer Games in Rio, where the team failed even to qualify. 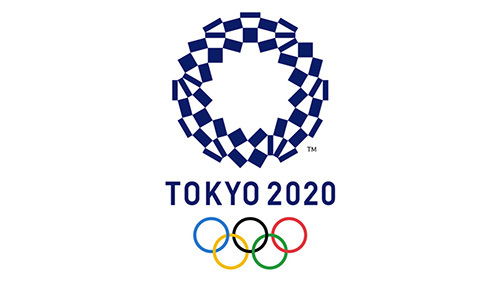 After this startling blow, the upcoming team performance in the 2020 Tokyo Olympics is something gymnastic enthusiasts are very interested in following. Rowing is the second best the country has been in the Olympics. With 10 gold medals, 10 silver, and 9 bronze, it has had quite a good knock in the game, historically. The numbers table after the 2016 Summer Olympics shows it firmly in the fifth position, following the United States, East Germany, Great Britain, and Germany. From what the statistics show, it is obvious that the 2020 Olympics will also see them bagging a few medals. Nearly every country that has competed in the Olympics has entered for the athletics events. Since the birth of the modern Olympic games at the 1896 Summer Olympics held at Athens, Greece, after the efforts of Pierre de Coubertin, athletics has been a part of the game plan. In this challenging sport where even a fraction of a second can mean the difference between victory and defeat, Romania has till date gathered 35 medals in all, of which 11 are gold, 14 silver, and 10 bronze. With the statistics table showing what it is, it seems likely that the 2020 Tokyo Olympics will see the Romanian flag rise on the winners' stand again. Canoeing and Kayaking have been part of the Olympics sports line-up since the 1936 games held at Berlin, Germany, although they were demonstration sports at the 1924 Games in Paris. In this challenging sport, Romania comes sixth among all the winning countries throughout the history of the games, resplendent with a total of 34 medals. Of these 10 are gold, 10 silver, and the last 14 bronze. Burly men going at each other in a ring for the entertainment, and to the great applause, of the general public has been going on from times immemorial. It has always been considered honorable to showcase physical strength and an ability to throw down as many people as possible. In the Olympic games, wrestling has been a part of the program right from the start, introduced in the ancient Olympic Games in 708 BC. After a Byzantine emperor banned the games, the Olympics could be brought back only until 1896, and again wrestling was a part of the sports list. In this sport, Romania, with quite a collection of bronze medals, holds the thirteenth position amongst the winners from all other countries till date. It has won 34 medals in total, of which 7 are gold, 8 silver, and 19 bronze.